“It is a challenge for us that our students can also talk [like we do about indigenous issues], that the youth can share where they are and be informed. This is part of development,” said Mercy Pakiwag, APC School Administrator, on the final day of APC’s conference on indigenous education last May 17. The importance of the inclusion of the youth in discussions relating to indigenous rights and culture was one of the topics of APC’s recent conference. 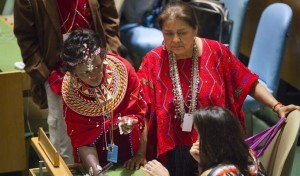 This theme was also explored during the 12th Session of the UN Permanent Forum on Indigenous Issues (UNPFII). Approximately 2,300 indigenous participants gathered on the 20th of May this year for two weeks. This session’s discussions were concerned with culture, education and health, with a special focus on the youth and indigenous groups of Africa and the importance of strengthening ties with international finance institutions. The discussions on youth issues were centered around the findings of the UN Expert Group Meeting on Indigenous Youth, held earlier this year in January. Of the 370 million Indigenous Peoples in the world, approximately 67 million are youth . The youth expert group meeting included recommendations on a range of issues, including improved and appropriate education for indigenous youth, and ensuring the participation of indigenous youth in decision making that affects their wellbeing . Youth issues and inclusion is also a priority of UN Secretary-General Ban Ki-Moon, as he has launched the System Wide Action Plan (SWAP), which aims to deepen youth focus in existing UN programs. In line with these efforts, the UNPFII Secretariat in cooperation with UNICEF and the Indigenous Youth Caucus, an adolescent-friendly version of the UN Declaration on the Rights of Indigenous Peoples has been released. Speaking at the closing session of the UNPFII on the 31st May, UN Deputy Secretary-General Jan Eliasson said we must work harder to ensure Indigenous Peoples are not marginalized. Speaking about indigenous girls, adolescents and women, Mr Eliasson said: “Indigenous women are one of the most marginalized groups in the world”. “Often they face multifaceted discrimination from and outside their society, including gender-based violence.” He called for the better inclusion of indigenous women in discussions, and related this need to the achievement of the Millennium Development Goals (MDGs) number 3. The 12th Session of the UNPFII also included an in-depth review of financial development policies and mechanisms aimed at engaging Indigenous Peoples. Present at the discussion were over 30 representatives from the World Bank alone, as well as from the African Development Bank, the Asian Development Bank, the Inter-American Development Bank, and the International Finance Corporation. 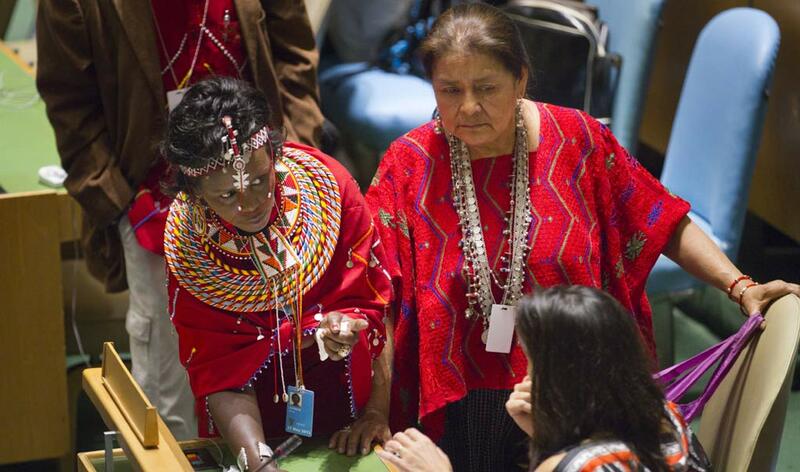 Looking forward, the UNPFII discussed plans for the first World Conference of Indigenous Peoples to be held in September 2014, in relation to the post-2015 development agenda. Mr Ellaisson summarized these discussions in the closing ceremony, stating that the forum has made it clear that the sustainable development agenda should also address the cultural aspects of development. The Message from the UN Secretary General, May 2013.